The Slipspace Engine demo shown at the E3 2018 briefing is the culmination of years of work and is infused with the passion of hundreds of people here at 343 Industries. When we started this project, the team’s vision for the game was ambitious – so much so that we knew we had to build new tech to fully realize our goals for Halo Infinite. The E3 demo showcases some of the exciting potential of this technology – everything you see is running in-engine. We still have a long way to go until we ship the game, so things will certainly evolve between now and the release of Halo Infinite, though the engine demo is a clear indication of the direction we are heading with our next game and a great snapshot of where our tech is right now. It’s hard to believe that 343 Industries was formed just over a decade ago. Over the years, the team has learned a lot from creating Halo 4 and Halo 5 and from you, our community. I hope you can see nods to some of that in our demo, such as the approach to some visual elements. 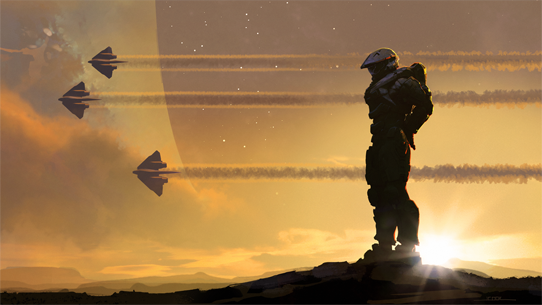 Halo Infinite will feature Sparth’s (Art Director, Nicolas Bouvier) new art style that draws significant inspiration from the most iconic and historic parts of the Halo franchise and your feedback, all while modernizing and taking advantage of the full power of the Xbox One family. 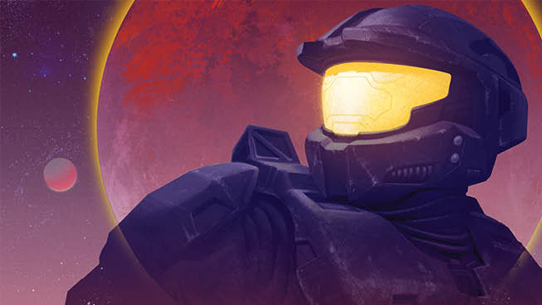 The new Master Chief helmet directly showcases our new art style. The team also heard feedback loud and clear on the amount of time spent playing as the Master Chief in Halo 5. In Halo Infinite, the game will focus on the Master Chief and continue his saga after the events of Halo 5. I know waiting can be hard for folks who are excited for more info about the game. We are taking the time we need to make the right game and are making changes to how we approach things this time around. The goal of the entire 343 Industries team is to make a great Halo game for our fans that also invites new players into our franchise. We will have some new and unexpected directions to take folks in and I believe the way we achieve that is to build alongside our community, iterating and improving as we go. 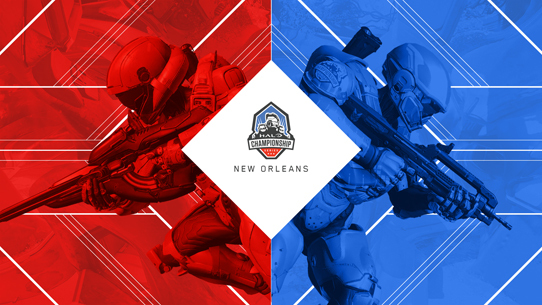 I would love to hear from you as we build Halo Infinite. You can hit me up @tefferlee on Twitter and let me know what you think about the engine demo. Keep in mind that I do have a game to build so you won’t see me out there on social media quite as often as other folks, but I will definitely be listening along with the development team. And don’t worry, our community team constantly funnels feedback and info to us as well. If you are someone who wants to directly help realize our vision for this game, check out our careers page at the brand new 343industries.com site to see if there is a role for you here at the studio and Halo. I’m incredibly proud of what the 343 Industries development team has done with the Slipspace Engine and this first tease of Halo Infinite, and I look forward to sharing more with you all in the future once we are ready. Thank you all for your support and passion for Halo. This is an exciting moment for all of us, and we look forward to embarking on this journey together!